Establish new policies and plans for the College with accordance to the College’s Philosophy and Mission. Prior to proposing to the College Council, the Administration is responsible for the reviewal and approval of all rules and regulations of the College to ensure that they abide by the law and order of the Ministry of Education, Thailand. Arrangement of the College budget, expenditure or any fund-raising events prior to approval of the College Council. Appointment of sub-committees for completion of College-wide tasks/projects. 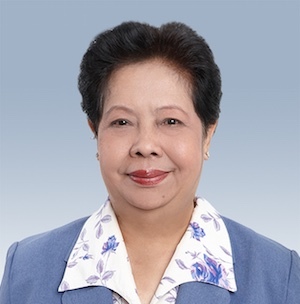 Dr. Theresa Virachanee Phromsuntorn is the License holder to St Theresa International College and is the Vice Chairwoman of the College Council. Dr. Theresa had completed her primary schooling at Mater Dei School, St. Paul Convent School and attended High School at St. Brigid’s Ladies College, Lesmurdie in Western Australia. After her studies at City College in Perth, she was awarded an Honorary Doctorate in Humane Letters from the University of Culver-Stockton College USA. She has gained extensive work experience as Administrative Assistant for the Ministry of Industry under the United Nations Development Program (UNDP) and was the Administrative Assistant in the International Labor Organization (ILO). She has been active in numerous distinguished social services. One notable project involved the organization of an inter-relation study tour that focused on public and private sectors’ involvement for the alleviation of poverty in Tra Vinh, Vietnam. She had also organized an in-house training session on Public Investment Program for the National Budgeting Administration in various fields of Vietnamese bureaucracy. Dr. Theresa plays numerous important roles in Catholic Church services both locally and internationally. 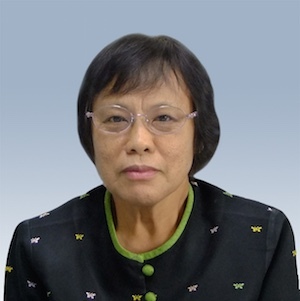 She is currently the Vice-President of Catholic Communication of Thailand and is a member of the Advisory Board of Catholic Association of Thailand. She is also the Vice-President of Catholic Business Executive Group, Honorary Member of St. Louis Foundation, Committee Member of Pattaya Orphanage and Public Relation for Catholic Commission for the Bible, Thailand. Dr. Piyada Wattanasan earned her Doctorate of Philosophy in Education and Graduate Certificate of Advanced Studies in Education Sciences from Katholieke University, Leuven, Belgium. She received her Master’s Degree in Business Administration from the University of Bradford, UK. Beginning her job with TSI as a teacher in 1990, she was subsequently promoted to Administration Assistant, Executive Director, Finance Director and Course Director before settling into her current position as the Rector / President of St Theresa International College in 2001. Dr. Piyada is a certified Quality Assurance Assessor and actively participates in the quality assessment of various higher education institutes in Thailand. She is also the Associate Judge of Pathum Thani Juvenile and Family Court. Dr. Piyada actively participates in Catholic Church activities/services both locally and abroad. She is currently the Secretary of The Society of Saint Vincent de Paul, Thailand. Mr. Suwat Benjathammathorn has vast experience in educational administration ranging from preparatory schools to colleges. He is currently the Vice President of Administrative Affairs and Director of Finance for St. Theresa International College. Dr. Chaipat Wattanasan is the Vice President for Academic Affairs at St Theresa International College. 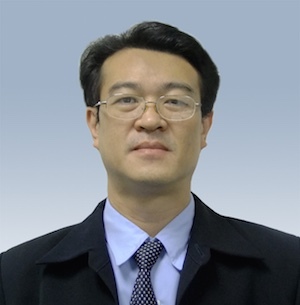 He had completed his Ph.D. in Power Electronics from Bradford University, UK. 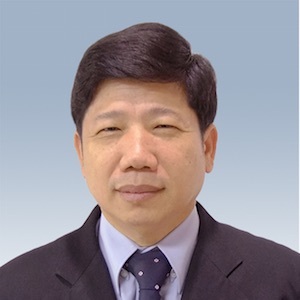 While working as the Assistant to the Faculty Member of Electrical Engineering Department in Khon Kaen University, he was also a technical advisor to Energy Design Concepts Co., Ltd in Bangkok, where he was responsible for the administration of academic services on energy saving products and electrical drives. Dr. Chaipat is also a highly qualified Quality Assurance Assessor and actively participates in the assessment of numerous universities in Thailand. Ms. Potjana Piyapakornchai had earned her Master’s and Bachelor’s degrees in Nursing from Mahidol University. She was the Director of Boromrajonani College of Nursing Buddhachinaraj where she had gained vast working experience in administrative affairs for both academics and practicum activities. 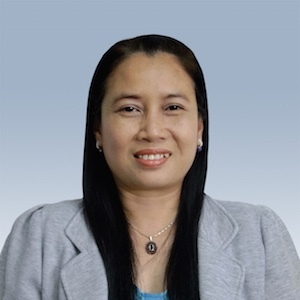 Dr. Vichian Puncreobutr had graduated with a Master’s and Doctorate’s Degree in Education Administration from Burapa University, Cholburi, Thailand. He had gained extensive administrative experience working as the Vice President and Vice Rector of IRPC Technology College in Rayong. 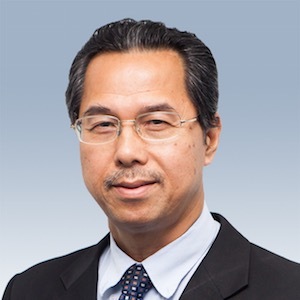 Apart from his outstanding research works involving development & improvement of skills and teaching techniques for cross culture of the ASEAN countries, Dr. Vichian is a specialist in education quality assurance and assessment, and actively participates in the assessment of various higher education institutes in Thailand. 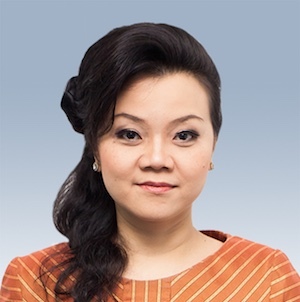 Ms. Vipa Pengsa-ium had graduated with a Bachelor’s Degree in Education (Nursing Science) and Master’s Degree in Education (Nursing Management) from Chulalongkorn University. 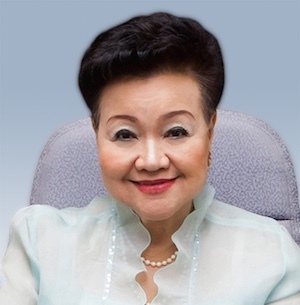 She acquired her vast healthcare experience from working as the Director of Boromarajonani College of Nursing, and became a Deputy Director of Phraboromarachanok Institute for Health Workforce Development in the Ministry of Public Health. 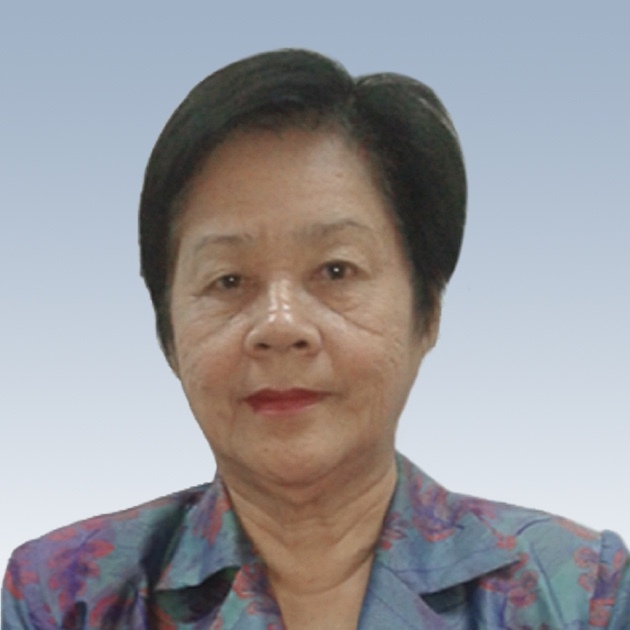 Currently, she is the Dean of the Faculty of Nursing Science at St. Theresa International College and is a certified Quality Assurance Assessor for the evaluation of higher education institutes in Thailand. 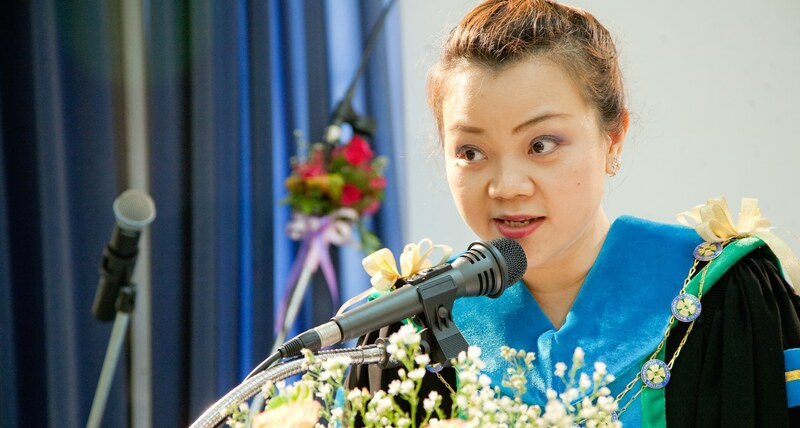 Assistant Prof. Dr. Poonsuk Kitratporn had earned her Bachelor’s Degree (Hons) in Education and Master’s Degree in Education from Chulalongkorn University. She completed her Doctorate’s Degree (Ed.D) in the field of Curriculum and Instruction from Brigham Young University, Utah, USA. Her working experience includes: Dean of the Faculty of Education in Chankasem Rajabhat University, Vice President for Assets and Revenues and Vice President for Planning and Development of Chankasem Rajabhat University, Dean of the Graduate School of Chankasem Rajabhat University, and Principal of Chankasem Kindergarten Demonstration School. Dr. Jitrapun Pusapukdepob had earned her Ph.D. in Environmental Science from Burapha University and a Master’s of Science degree in Health Science, Industrial Health and Safety from Mahidol University. She had earned two Bachlor’s Degree: Bachelor’s of Science in Public Health from Sukhothai Thammathiraj University, and Bachelor’s of Arts in Nursing from Khon Kaen University. She has extensive experience working in various academic administrative positions for Burapha University. This includes: Chairwoman of M.Sc. curriculum in Occupational Health and Safety, Deputy Dean for Academic Affairs in Faculty of Public Health, Director of the Center for Standards and Quality System, and Head of Health Science, Industrial Health and Safety for the Faculty of Public Health. She is also a highly qualified nurse with experience working as a professional nurse for Ratchaburi Provincial Hospital and a lecturer for the Provincial Nursing College of Ratchaburi. Being the Sanitation Technical Officer and Health Promotion Officer for The Provincial Public Health Office of Ratchaburi, Dr. Jitrapun has made very valuable contributions to the health of numerous communities in Ratchaburi province. Assist. Prof. Permsuk Wisnuwong had earned her Master of Arts in Sociolinguistics from State University of New York, USA. She has a Certificate in Aviation Personnel Management from ICAO Training Center, Switzerland, and a Certificate in Aviation English from the Language Training Center, Fokker Company, Amsterdam, the Netherlands and Airbus Industries, Toulouse, France. She had received her Bachelor of Education (majoring in Teaching English as a Second Language) from Chulalongkorn University. Assist. Prof. Permsuk was the President of the Aviation Management Program in Mae Fah Luang University, Chiang Rai. 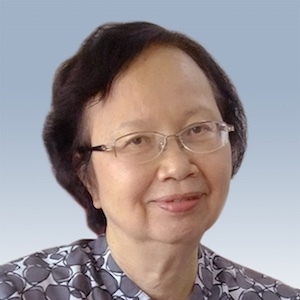 She had worked for the Faculty of Education in Chulalongkorn University as well as joining ONESCA as an Assessor of International Schools in Thailand. Assist. 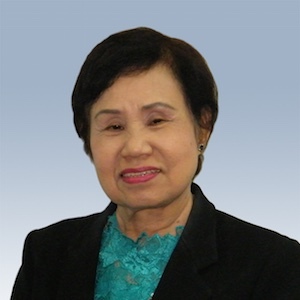 Prof. Permsuk had worked for various aviation businesses and industries; she was the founder of Thai Airways Language Training Institute and had worked for the Aviation Personnel Management Department in Thai Airway International, Plc. 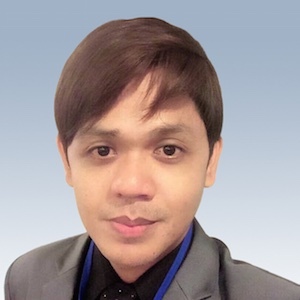 Mr. Dario Mando had obtained his Master of Education degree from St. Theresa International College and had earned his Bachelor of Secondary Education (majoring in English) from Mindanao State University, Philippines. He was the Head Teacher of 4A School of Excellence. Inc., Philippines, and was the Finance Officer at Datu Odin Sinsuat Educational and Dev’t Foundation Inc. In addition to his role as the Director of the Student Affairs Office in St Theresa International College, Mr. Dario is also full time lecturer in the Faculty of Humanities and Social Science. Mrs. Tridtapa Panbandrab has vast experience working as an accountant and auditor with extensive experience in the field of finance.